We are a well-established supplier of food, drinks and packaging solutions to hotels, cafes, bakeries, canteens and other food service customers in Brunei Darussalam. We hold a high reputation in terms of stock availability and delivery times. 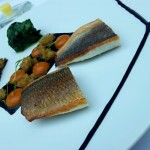 For any sales enquiries, please do not hesitate to contact us. 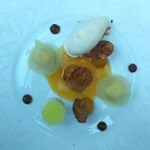 Our food service sales representative can be contacted at +673 7211118. 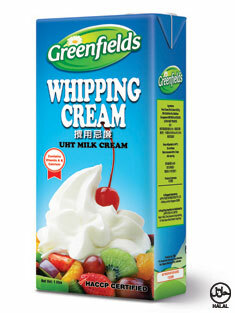 Made from Greenfields UHT milk, Greenfields Whipping Cream is as good as it gets. The perfect creamy white is renowned in the food and beverage industries for its freshness and quality, as well as its wide range of uses. 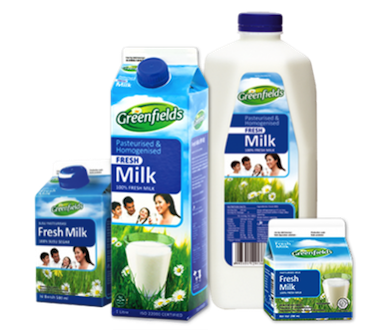 Greenfields Milk comes from pure-bred Holstein cows imported from Australia. Their finest cows receive a healthy diet of superior corn kernels, grains and special Alfafa grass that contain high protein and fibre.Their Full Cream Milk, Low Fat and Skimmed milk are produced from 100% fresh milk. Greenfields is distributed by Ying Bee Company in Brunei and we are committed to provide high quality fresh milk to the Bruneian market at an affordable price. 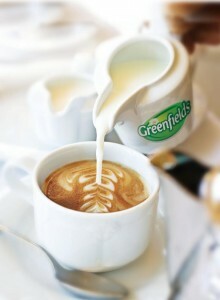 Greenfields is great for coffee, bakeries and of course, just for drinking itself! Greenfields Fresh Milk prides itself as the prime choice of milk to bakeries, food and beverage outlets and franchises in the country. We assure the most consistent quality and safety in the products. 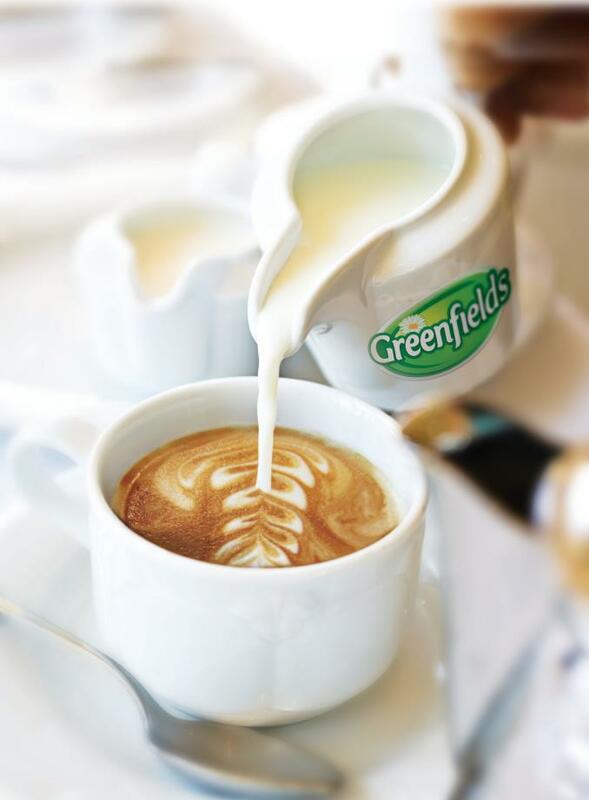 Greenfields Fresh Milk is the favourite of many popular coffee franchises in the region because of its smooth taste and ability to create a stable foam for gourmet coffee. Greenfields Fresh Milk is milked and processed in one farm. The milk is single pasteurised which retains the maximum amount of nutrients. Other products including baking paper, greaseproof paper, aluminium trays and accompanying lids, etc. TUMIX ® chicken stock seasoning is made from real chicken and complete with deliciousness of home-made ‘tumis’ (well-fried garlic and onion). 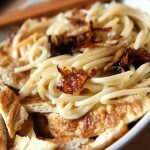 It makes your every dish aromatic and tasty. You can use it for your stir-fries, soups, curries and gravies! AJI-NO-MOTO ® Umami seasoning is a world renowned brand for Monosodium Glutamate (MSG). AJI-NO-MOTO ® makes food taste better with a little dash added before, during or after cooking which bring out the full flavour of any dishes. AJI-NO-MOTO ® is widely used not only by homemakers to enhance the taste of any dishes but also by hawkers and professional chefs in restaurants all over the world. 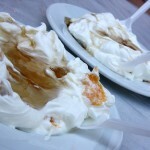 It is also added into variety of processed foods, frozen foods, soups, snacks, instant noodles, etc. 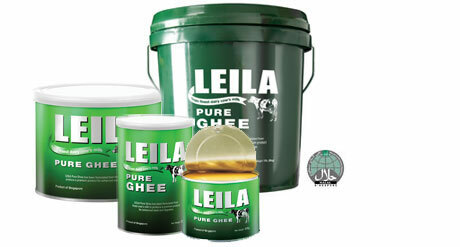 LEILA Pure Ghee has a natural golden yellow colour and is made only from the finest cow’s milk. 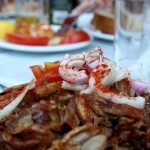 It does not contain any additives, preservatives or flavours. Its pleasant buttery aroma and texture is unqiue for this pure and fresh ghee made from cow’s milk. Unlike ordinary butter, LEILA Pure Ghee does not contain any milk solid; hence it can be heated to higher temperature without burning and smoking. A premium, still mineral water suitable for all occasions. When it comes to preparing the crispiest fried foods and snacks, chefs naturally turn to Hand Brand Cooking Oil. Prized for its excellent oxidative and frying characteristics, Hand Brand Cooking Oil helps food preserve its fresh, crisp taste for a longer period of time. 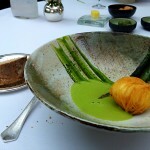 chefs trust. Like all vegetables oils, it does not contain cholesterol, trans-fat and preservatives – adding to its nutritional value. A common cooking ingredient in Brunei, palm oil’s growing popularity in the commercial food industry is credited to its cost-effective pricing and high oxidative stability during frying. Typically used for deep-frying of fish and chips as well as various snacks, Hand Brand Cooking Oil is a much sought-after brand in the food service industry. Pietro Coricelli extra virgin olive oil is known for its superior taste, tantalising perfume and full body, a perfect condiment to complement salads and recipes that require a delicate dressing. 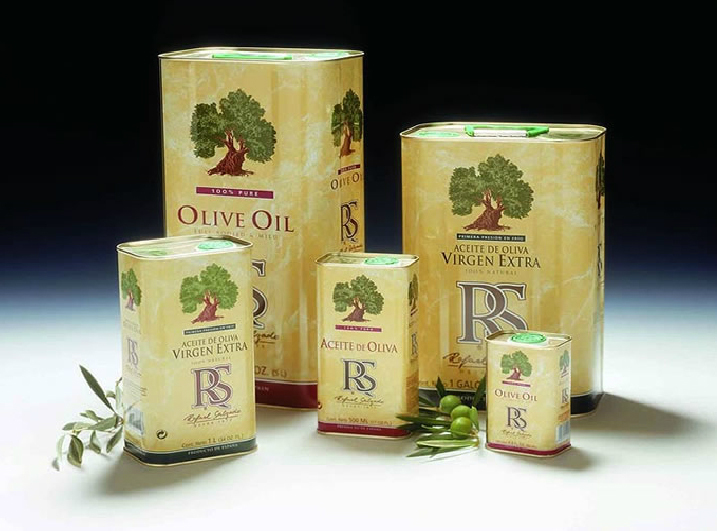 For cooking and baking, the light and delicate tastes of Pietro Coricelli Pure Olive and Pomace oils are ideal for these culinary preparations. 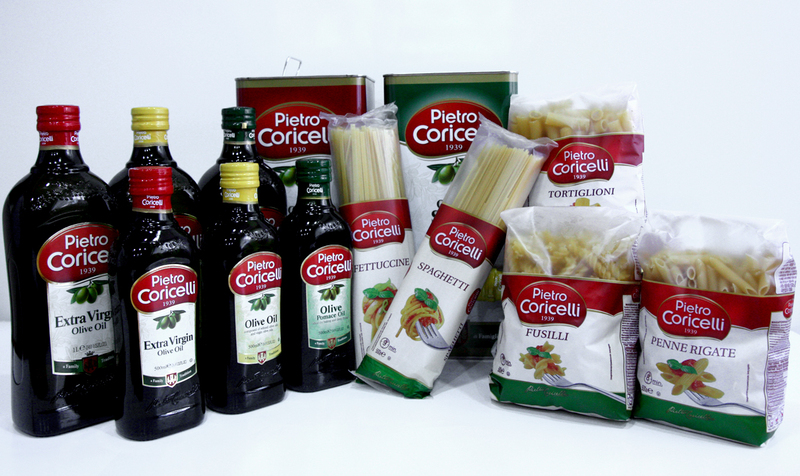 In addition to the widely acclaimed oils, the new line of pasta at Pietro Coricelli is made from 100% high quality Durum wheat, which allows the pasta to stay al dente, from the cooking pot to the serving table.